An extremely hardy cycad from the Mexican States of Oaxaca and Puebla, near Teotitlan del Camino and Huautla de Jimenez, occurring at some of the highest altitudes of any Dioon, between 1800 and 2350 m (6000 and 8000 ft.), where it tolerates frosts. Very easy to grow from seed. Reaching 3 m tall. A rare and endangered species with an observed decline of ca. 50% over the past 50 years. The species is known from two localities (2,500 and 500 plants), with both subpopulations experiencing ongoing decline. Plants grow on steep shady slopes in tropical, deciduous forest. 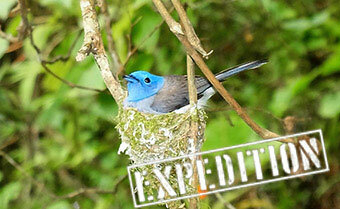 They are found in the transition zone between oak/pine forest and deciduous tropical thorn forest. The soil is generally rocky and poor. Trebrown hortikulturni rasadnik imati svoj Dioon califanoi sjemenke dostupni, samo £39.60 po pakiranju! Kupite svoju sjemenke sada dok su još uvijek dostupni!